Editor’s note: This news also appeared in the AdvaMed SmartBrief, Liahne Zaobao (Chinese), NextInsight, The Business Times and The Straits Times. 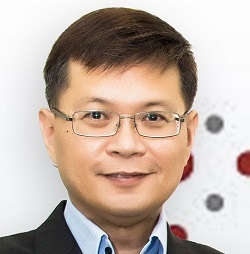 Trendlines Medical Singapore established four additional medical technology start-up companies in 2018, a total of six start-ups since its inception in February 2017. One of the recently incorporated companies, Medulla Pro Technology resulted from the partnership with the National Healthcare Group (NHG). Medulla Pro is developing a real-time ultrasound-guided imaging system for lumbar puncture, an idea conceptualized by two clinicians from NHG. Another Trendlines Medical Singapore’s start-up, Ayzer Sense, established in May 2018, is working with NHG to evaluate a unique solution that reduces the occurrence of pressure ulcers in patients. Pressure ulcers are a worldwide concern and the debilitating effects result in a healthcare burden in excess of US$10 billion in the United States[*] alone. Ayzer Sense will be completing a prototype of its overlay that automatically senses body pressure and redistributes excessive pressure points to reduce the occurrence of pressure ulcers. The technology from Ngee Ann Polytechnic is now assigned to Ayzer Sense and has been further developed by Ayzer Sense CTO Johnny Chee, a former lecturer at Ngee Ann. Trendlines Medical Singapore is an appointed Startup SG Accelerator by Enterprise Singapore catalyzing the growth opportunities for high potential start-ups. Partnership is at the core of our culture at Trendlines. Our collaboration with NHG aims to identify and develop promising early-stage ideas to address unmet medical needs. Medulla Pro’s management team will have the opportunity to leverage the clinical experience of NHG. Additionally, the team will have the opportunity to work alongside experienced researchers at A*Star, the parent company of A*ccelerate, with whom we established a partnership in November 2018. We are confident that the active partnership with NHG and A*ccelerate, combined with our experienced product development engineers at Trendlines Labs, will provide Medulla Pro with the opportunity to deliver clinical solutions expediently. clinical expertise to co-develop innovative solutions to enhance healthcare delivery to our population. This collaboration has shown promising results with examples such as the development of a smart auto body-pressure redistributor mattress-overlay to reduce the incidence of pressure ulcers in bedbound patients, and the early development of a real-time imaging solution for common procedures such as the lumbar puncture. We will continue to work with Trendlines Medical Singapore to identify more potential partnerships in our shared purpose of providing quality, safe and value-based patient care. At Trendlines Medical Singapore, we value our partners –entrepreneurs, clinicians, researchers, business mentors, and other stakeholders. We believe the combined impact of these experts will create greater dynamics to realize the full potential of a technologically focused company. It is with this belief that we have a team of dedicated, experienced individuals at Trendlines Medical Singapore who work closely with our six portfolio companies to realize their full commercial potential and look forward to evaluating additional new, exciting technologies to incubate more companies this year.